Creating a blog may sound daunting if you have never done it before, but I can assure you that it is simple to set one up. In fact, you can get started blogging in less than 15 minutes. Blogging has literally changed my life by allowing me to work remotely and travel. I am able to create a nice income through my passion for gaming and anime. You don’t necessarily have to like both niches, but I am sure there are some things in life that you are passionate about. The turning point came when I decided to create a fan site for a mobile game that I was into back then. I spent the first 4 months writing content and creating useful information for the game. Long story short, I was able to make earn my first $1000/month with that website and it kick started my blogging journey. I pulled in massive traffic for my own sites that make ~$4000/month through a mix of banners ads and affiliate marketing. Below is a traffic screenshot of my authority site. Why am I telling all this? 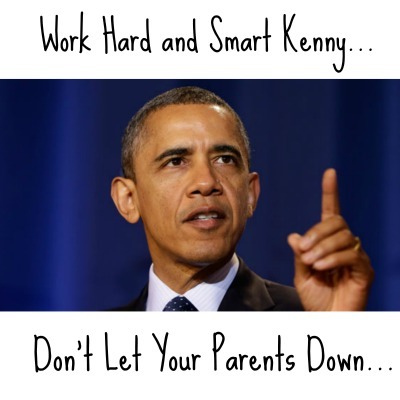 Not to brag, but to let you know if a lazy gamer can do it… so can YOU! Blogging will give you a way out of 9 to 5 and give you independence to work from home. To do all of this though, you need a self hosted blog! You get a free domain alongside your hosting for your blog. YAY! Extremely reliable and their 24/7 technical support is better than GoDaddy’s support in my opinion. It’s easy to use and ANYONE can literally setup their blog in 15 minutes. You are 100 times more professional than a blogspot website. Send me an email and I will help you out if you have any questions on pricing or which package to choose. The first step of the process is to get your domain name. You can do that by either getting them on Bluehost or another domain site such as Namecheap. Now, the tricky part is actually deciding what your domain name will be. Many people will actually get stuck here and not follow through with this step if they can’t find a good domain name. The easy solution to this problem will be to register your actual name or pen name. It is brandable and you can talk about anything under the sun. If you chose a domain such as dogkingdom.com, it would be a little strange if you blogged about flowers or bungee jumping on there. 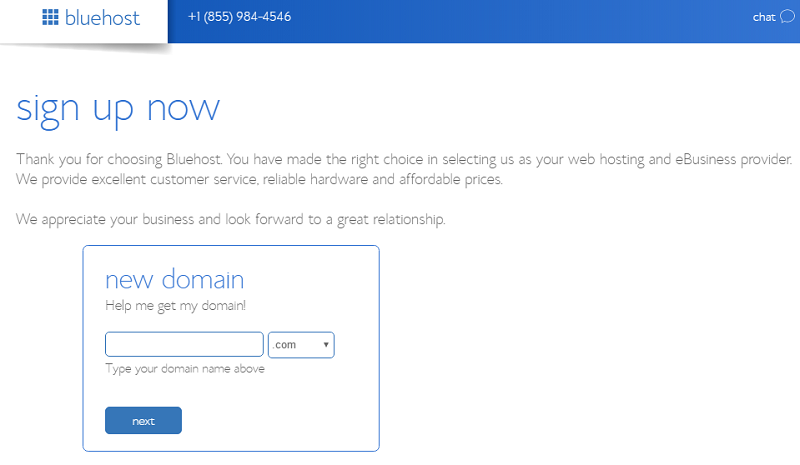 Keep in mind that as long as you buy a year’s worth of hosting on Bluehost, you will get your domain for FREE! It is vital you sign up for at least 1 year. You will also get a cheaper price anyway, so it is a no brainer to do so. Made up your mind yet? If so, after choosing your domain name, it is time to proceed to the next step. Bluehost offers 3 main packages and the price may change a bit depending on whether they are running any promotions. 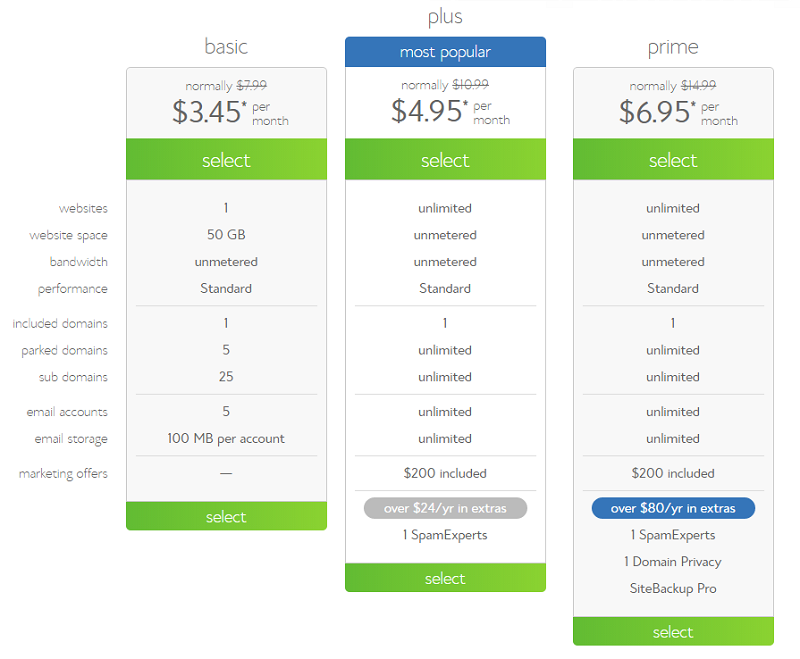 The package I recommend is $4.95/month with unlimited domains and comes with a free domain name! The running cost at the start would come out to $83.40. This is if you only get them for a year. 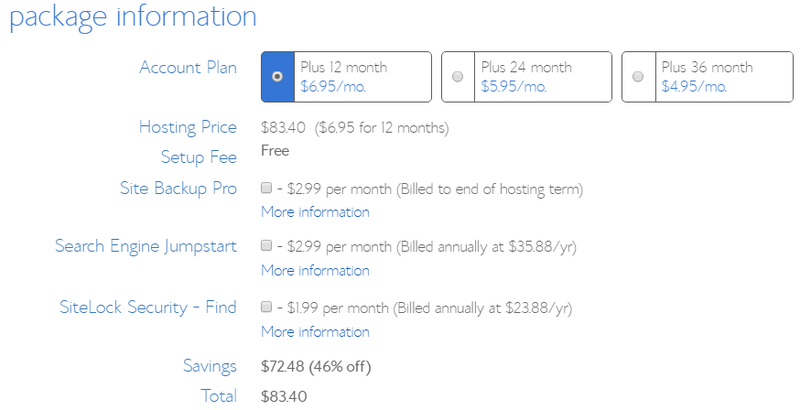 If you opt to get hosting with them for 3 years, the cost would come out to $178.40. It is a much better deal. Do not get the Pro Plan as you won’t need it. The Basic Plan is not really much of a deal as you may want to build new blogs in the future. Limiting your domain usage to only 5 is not worth it. If there is one thing you should not do, it will be paying for a month to month plan. The last thing you need is your server going down and you lose quite a lot of visitors in the process. It is a nightmare you don’t want to deal with. I also know that this is a big decision making process for you and I want to make sure you know what you are getting into and exactly how much you are paying. To simplify the steps for you, below are the things you have to do to get started. Enter your password. Remember to save it somewhere safe just in case you forget. Have Google Chrome remember password for you if you use it. This step is only required if you bought your domain from another website such as GoDaddy, Dreamhost and more. I personally like to buy additional domains from GoDaddy since they have domain auctions as well. Below is a quick tutorial on changing nameservers with them. Step 2: Next to Domains, click Manage. 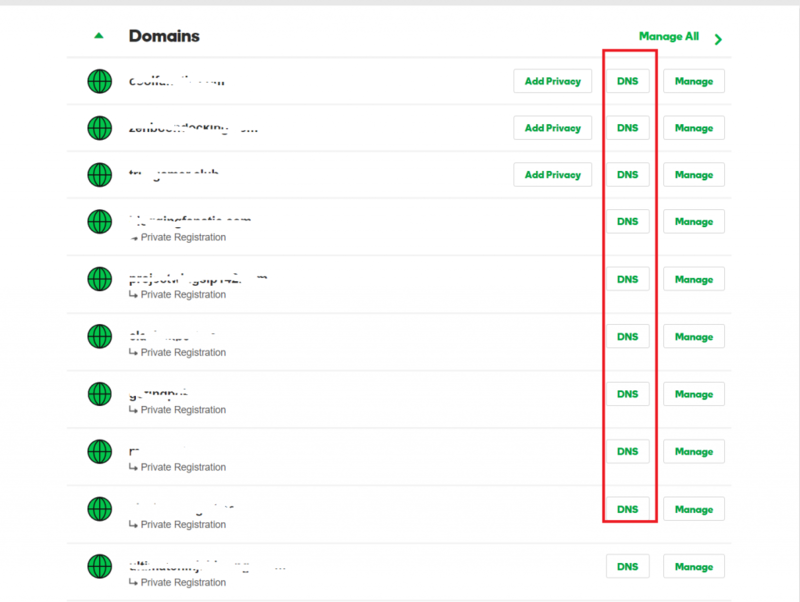 Step 3: Select the domain names you want to modify by clicking Manage DNS. Step 5: Under Setup type, select Custom. Step 6: Click Enter custom nameservers. In this case, ns1.bluehost.com, ns2.bluehost.com. After updating your nameservers, allow 4 to 8 hours for other networks to access information for .com and .net domain names, and allow 24 to 48 hours for other networks to access information for all other domain extensions. If you have bought your domain from other big hosts like Dreamhost, HostGator etc. check out their articles on how to switch nameservers to Bluehost. The process is more or less the same. Installing WordPress on Bluehost consists of just a few simple steps. Once you have bought your hosting, you will receive an email on login instructions. 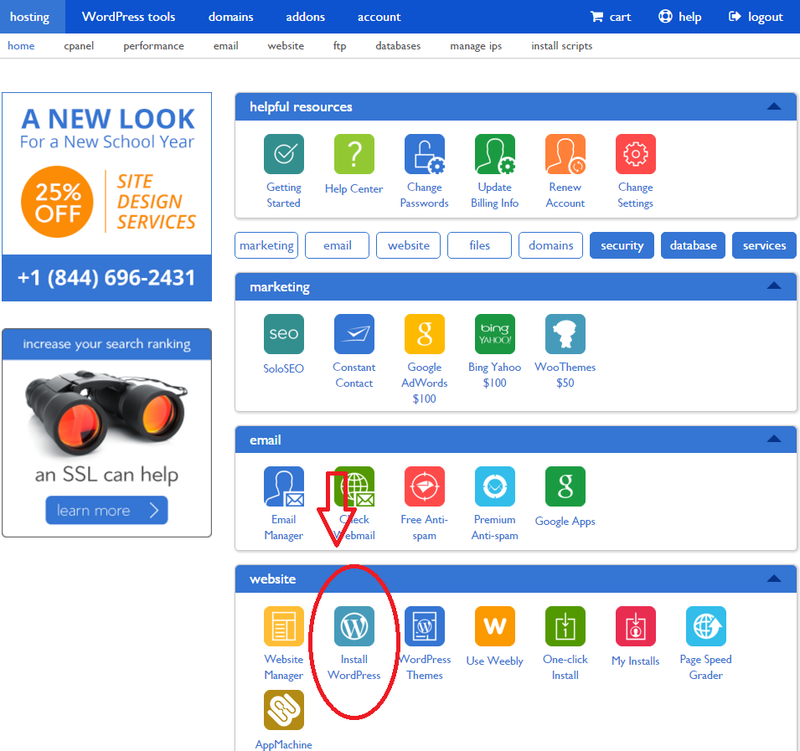 Once you login to the cpanel, go to the bottom and look for the “Install WordPress” icon. You will then asked in install WordPress via the latest version. Select your domain name that you bought earlier to install WordPress on it. There are a couple of important things you need to do after this. Under “Advanced Options”, you get to choose your username and password. There you have it. Now you are good to go once the install is done, which usually takes no more than 5 minutes. Okay now you have installed WordPress, you still need to login to the dashboard using the username and password you created. To create your first post, click on the posts on the left hand side of the screen. Select “Add New” and you are off to the first one! Perhaps you can start off with an introductory post and share a bit about yourself. It works very similar to the Microsoft Word, except that you have some other icons that you can use to customize your post. 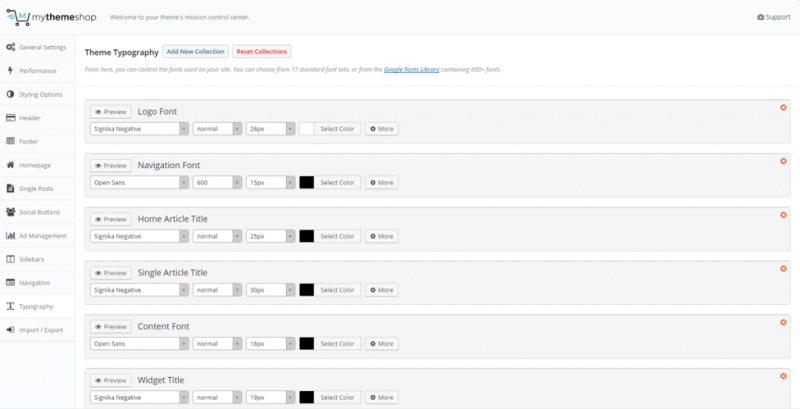 You will also want to create a few categories to group up your posts. For example, you may want to have a “Personal”, “Finance” or “Wealth” if your blog is a finance blog. To create pages, go to the pages section and add a new page. To add some stuff to your sidebar on the home page, make sure to go to Themes -> Widgets. Adding Facebook pages or social profiles will all be handled here. The reason for that is simple, it makes the url look better and is good for SEO. Unless your blog is time sensitive, the numbers are quite irrelevant in the url structure. Now you can always go with the free themes. The good part is you don’t need to pay anything to get a decent looking site up. However, if you want support on how to make further customization, you will not get that from a free theme. You will have to pay for a premium custom theme. 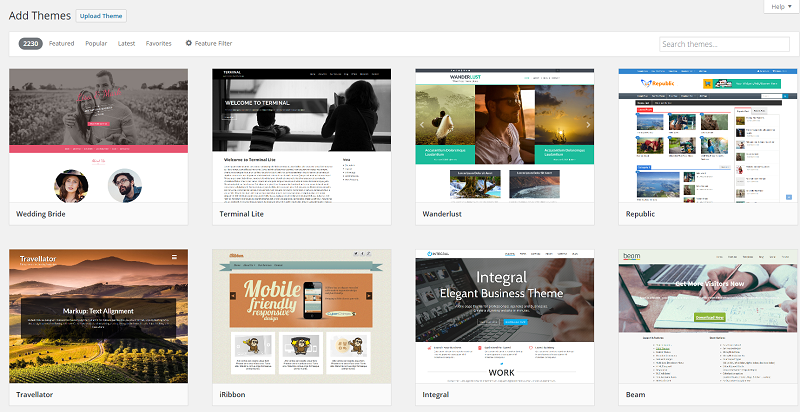 Having blogged for almost 8 years, I have used quite a variety of premium themes. There were some good ones and bad ones, but one of the companies really stood out to me. And that is My Theme Shop themes. If you haven’t noticed, this blog is based on their Newspaper theme. Here are some of the top reasons why I like them so much. In the world of instant gratification, it is a no brainer to have your site page/posts load within 2 seconds or less. 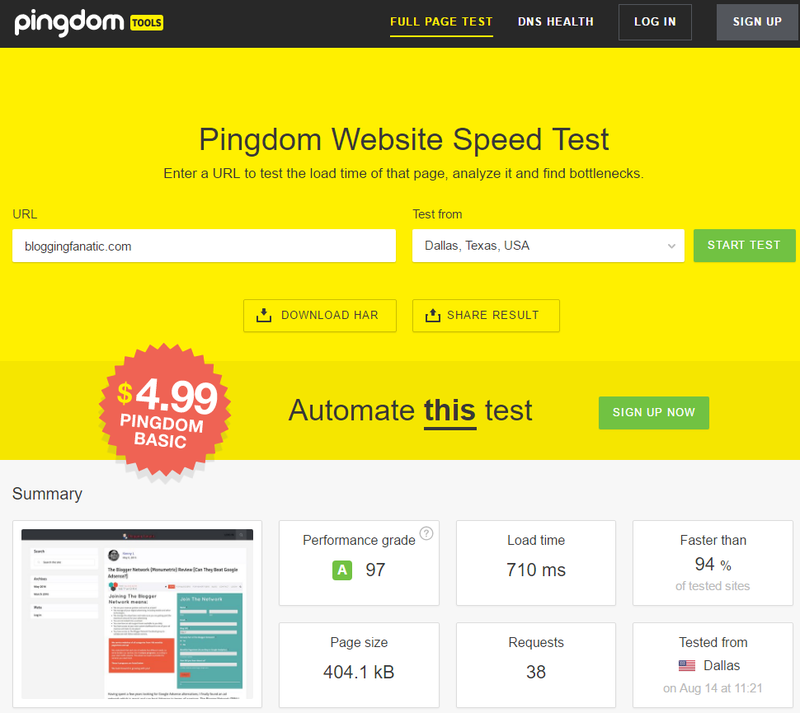 On Pingdom Tools, the test for my site loading speed came out to less than a second. Compared to the Genesis theme I was using, it was 300 ms faster. It might sound like a big difference, but when your blog starts getting popular and the server loads are heavier, the “Lazy Load” feature they offer will really make the difference. Color and Text Customization is Easy to Change! One of the things I had trouble with was CSS. If I wanted to change the text font style or color, I had to go search for the CSS code to make the changes. As someone that doesn’t like too technical stuff, it was a major headache for me. With My Theme Shop themes, you can just go to their backend to make the changes all on one page! The same goes changing background colors and image logos. Their support is very quick at answering your questions IF it is theme related. That means if the theme you bought is not working the way it is supposed to be, then they will provide quick solutions. However, if it is theme customization though, they won’t help as its not part of the theme. Themes that you buy from them will also be updated frequently to keep up with the ever changing internet. Mobile optimization has become something really important and having super mobile responsive theme is key to giving your mobile users a friendly experience.